Before you choose a pressure washer that’s perfect for your needs, ask yourself these questions from PSi to help narrow down your selection. 1. Does your pressure washer need to be portable or stationary? This is the most basic question of all. Consider whether you will you be taking it from location to location as part of a car washing business or janitorial service, or using it in one location with hoses running from it, as in a food processing plant or a wash bay. The need for wheels is something else to consider and will affect the price. 2. What kind of power source: gas or electric? If electric, what voltage do you have? This is extremely important! Gas is more economical, but has to be used outside mounted on a truck or a van. Gas engines are noisy, so if you intend to use this in or near a residential neighborhood, you might want to take that into consideration. Electricity is for inside where a gas engine cannot be used. 3. Hot or cold water pressure washer? This question will be determined by where you will be using it and what you will be cleaning. Hot water cleans much faster if you are removing grease, food byproducts, or graffiti. 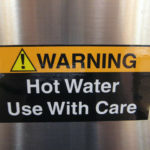 Hot water works great as a disinfectant as it can reach 190 degrees Fahrenheit and kill most bacteria. Cold water is for cleaning general dirt and grime, and used for rinsing cars, trucks, vans and other vehicles. If you need hot water, then you need to consider what will be powering the burner system. The options are: electricity, propane, natural gas, diesel fuel and here are some general guidelines. Please check any city regulations where you will be using your equipment. Diesel has to be used outside, because of the emissions. Propane is good for some portable machines. Propane is dangerous and expensive, but it does burn clean and is a favorite by clean air proponents. If it’s inside a building, natural gas-fired pressure washer is the most ideal. 4. 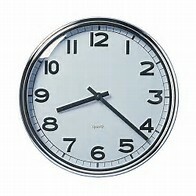 How many hours of operation will this unit be used per day and per week? Belt driven units, which use belts and pulleys between the motor source and pump are more industrial and more efficient than direct driven models which bolt the pump directly to power source and run much faster. If you are in the market to purchase a pressure washer, come by PSi today to see all the models and options discussed above. We are conveniently located in the City of Westminster, just off the 22 freeway. PSi is happy to treat you to a demonstration of any machine at a place and time that is convenient for you.